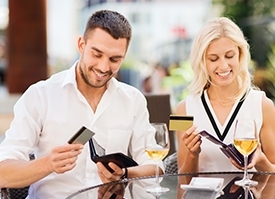 Wireless EMV | Evergreen POS | Dinerware Restaurant POS Software: Intuitive. Reliable. Easy to Use. For the latest in payment processing security with the added benefit of mobility, look no further than Heartland wireless EMV solutions, available through Evergreen Point of Sale. 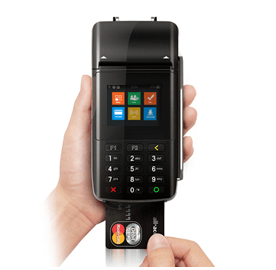 For restaurants running Dinerware software and processing cards using Heartland Payment Processing, the PAX D210 is a lightweight, compact card reader that integrates with your existing POS software, making it easier than ever to implement pay-at-the-table solutions. Enable your staff to turn tables faster and your guests to keep credit cards in their possession at all times. Easily accommodate check splitting and tip processing, while speeding up the payment process and providing a better experience for your guests from start to finish, all while enjoying unprecedented security for both your business and your customers’ data. EMV processing reduces credit card fraud, and because the device is wireless, credit cards never leave the hands of the customer. 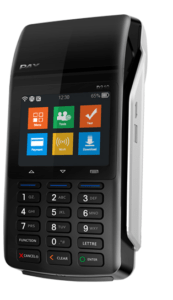 The PAX D210 streamlines payment transactions, allowing your guests to settle the bill as soon as they are ready. Mobile payment technology saves servers an extra 10-20 minutes per table, which allows your business to turn tables—and profits—faster. 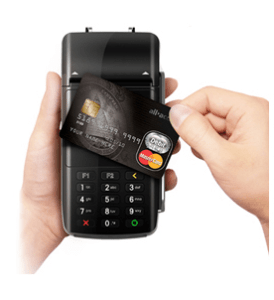 Let Evergreen Point of Sale help you implement Heartland wireless EMV solutions to provide the flexible and convenient payment processing your customers have come to expect. Go above and beyond security for your business and your customer’s data—give them the enhanced customer experience that grows both their loyalty and your bottom line. Not ready to go wireless? Evergreen can help you select the wired EMV solutions that integrate with both Heartland as well as a variety of other payment processors.